Multimorphic ended 2018 with new shipments of Cosmic Cart Racing, and it’s starting 2019 by shipping even more games and accessories, including Grand Slam Rally and a 27″ backbox display. There are now 3 playfield modules, 7 games, and a number of new options and accessories for the P3 Pinball Platform. Cosmic Cart Racing is Multimorphic’s latest full game kit for the P3, and it offers high-speed flowing gameplay, unriveled playfield features, and up to 4-machine linked network play! By combining popular cart-style racing features with physical pinball play mechanics, Multimorphic has added even more variety to its innovative pinball platform, and since the playfield module swaps into the P3, P3 owners can enjoy another complete pinball game for a fraction of the price of other new machines and without taking up another coveted spot in their gameroom. 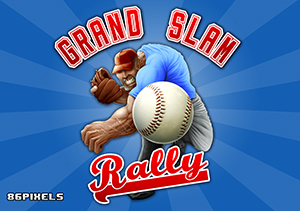 Grand Slam Rally, a pitch-and-bat style P3 mini-game developed by 86Pixels, is now available for purchase on the Multimorphic web store. This is the first game developed for the P3 by a 3rd-Party, and it’s a beautifully executed concept that’s perfect for the machine. It works with the Cannon Lagoon playfield and is fun for all ages and all skill levels. Also available for immediate shipment is one of the most requested features for the P3: a full-size backbox display. The backbox display is a 27″ high-definition canvas that transforms the look of the P3 by adding dynamic content to the backbox. Some games add game-specific graphics and progress information to the screen, and others show their translite images, ensuring that the P3 backbox is always themed to the game you’re playing. It can be installed in any P3. “So excited to have the backbox LCD installed in my P3 – what a difference it makes! The high definition translites look amazing and really pop. In-game dynamic content is also a huge enhancement. A great addition to the P3 and I can’t wait to see what future enhancements Multimorphic delivers.” – Brian Barth, TX. Customer access features continue to grow as well. All registered P3 owners can now access a software download page that lists all apps they’ve purchased for their machine. P3 owners can also request that access to their download page be given to other registered users, thereby allowing service technicians and/or operators to install updates to their machines. 2019 is shaping up to be a fantastic year for the P3. Thank you for your continued support.